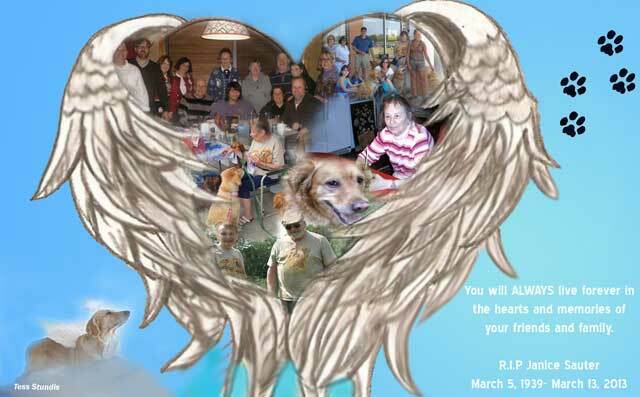 Long Island Golden Retriever Rescue has lost one of its own, and Heaven has a new Angel. Jan Sauter died peacefully in her sleep following a bout with cancer. Jan was a tireless volunteer for LIGRR. She was an integral part of countless fundraiser events, a transport helper, a foster mom and so, so much more. She loved the Goldens and would help in any way she was needed. Unless she had a prior commitment, she never turned us down. Jan is now over the Rainbow Bridge with her beloved Goldens Teddy, Molly and Sandy, Too, Tigger and Libby, along with all the wonderful dogs that came before them. Jan, you will be sorely missed and your passing leaves a hole in our hearts.